Compare Victorian electricity providers AGL, Alinta Energy, Click Energy, Dodo, EnergyAustralia, GloBird Energy, Lumo Energy, Momentum Energy, Origin Energy, Red Energy, Powershop, Simply Energy and Tango Energy on tools & advice, bill & cost clarity, environmental sustainability, ease of sign-up, customer service, value for money and overall satisfaction with Canstar Blue’s 2019 review and ratings. Knocking Powershop off top spot for the first time in three years, Tango Energy is Victoria’s best-rated electricity provider for 2019. Tango got five-star reviews on bill & cost clarity, customer service, value for money and overall satisfaction, leading the way from 12 other providers. If you live in Melbourne, you can hardly walk around the corner without seeing some form of advertising from an energy company. Victoria is the most competitive electricity market in Australia, and the power retailers are desperate for your business – hence all those TV, radio and billboard ads! This competition is good for consumers who like to shop around for the next best deal, but it can also make things seem extremely confusing. With so many electricity providers in Victoria – and so many sales pitches to work through – how are you going to find the right deal for you? Canstar Blue’s customer satisfaction review and ratings helps you cut through the noise and find out which providers are really doing a good job by their customers with regards to the service and tools they provide, as well as the value for money they offer. This year, more than 2,300 electricity bill-payers in Melbourne and across Victoria have had their say on their electricity provider of choice, which have been rated on factors including bill & cost clarity, tools & advice, customer service and value for money. With so much competition between electricity companies in Victoria, the idea is to give you as much information as possible about the 13 providers compared plus the others that operate in the state, to help you make the best decision for your needs. 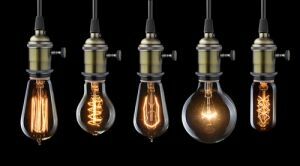 If you’ve always been with one of the big three power companies – AGL, Origin and EnergyAustralia – you may find these results particularly interesting given that the research highlights a notable divide in satisfaction between customers of the big and some smaller providers. Tango Energy replaces Powershop at the top of the ratings table after its three-year spell of success. Lots of energy providers are now claiming to ‘keep things simple’ and to ‘simplify the energy industry’ but none do this quite as well as Tango Energy. The retailer has a single market offer with competitive rates and no conditional discounts – you can’t get much more basic than that. And this approach is clearly winning over Victorians who have become wary of big savings claims over recent years. Powershop still performed very well this year, rated four stars overall along with GloBird Energy, Momentum Energy, Alinta Energy, Dodo, Red Energy, Simply Energy and Lumo Energy. It was three stars overall for EnergyAustralia, Origin Energy, AGL and Click Energy. Read on as we explain everything you need to know about electricity providers in Victoria, and how to get a better deal from them. But first, here is a selection of the cheapest published deals on our database. Tango Energy is a Melbourne-based electricity provider and the retail arm of renewable energy generation company Pacific Hydro. Tango Energy was previously branded Pacific Hydro, but its name was changed in 2018. Founded in 1992, the company was acquired by China’s State Power Investment Corporation after being floated on the ASX in 2016. When it comes to electricity retail in Australia, Tango Energy primarily operates in Victoria with a couple of market offers. These products come with fixed rates for 12 months so customers are protected from increasing costs in the future and don’t not include any conditional discounts, just competitive rates. The only difference is one comes offers a modest rebate when signing up online. Tango Energy is generally one of the cheapest electricity providers in Victoria and its back-to-basics approach has made it a hit with Victorian consumers. In its first year in our Victoria electricity provider ratings, Tango Energy has gone straight to the top – achieving five stars for its bill & cost clarity, customer service, value for money and overall satisfaction. It earned four stars for ease of sign-up and environmental sustainability, but just two stars for online tools & advice. As well as competitive electricity prices, Powershop focuses on offering customers the helpful tools they need to monitor and act on their energy usage, including an online platform and smartphone app. Users can also log on to the Powershop website to pre-purchase power packs and take advantage of its special deals, making it unique in the Australian market. Powershop is owned by Meridian Energy – one of New Zealand’s biggest energy generators and retailers – and has a reputation for being a cheeky alternative to the more established retailers – regularly poking fun at ‘traditional’ energy company behaviour. But it has a serious side – especially when it comes to renewable energy, ranked the Greenest Energy Company in Australia by Greenpeace. When it comes to electricity plans, Powershop offers a sizeable discount off its base rates, with further savings possible by purchasing a future power pack, with offers regularly updated on the website and app. It may have slipped to second place in our VIC electricity ratings, but Powershop is still a popular choice for many Victorians, recording five stars for ease of sign-up, environmental sustainability, online tools & advice and customer service. It earned a respectable four stars for bill & cost clarity, value for money and overall satisfaction. GloBird Energy has emerged as one of the main ‘second tier’ challengers to Victoria’s power giants, AGL, Origin and EnergyAustralia. While some retailers promote their green credentials, helpful tools, or great customer service, GloBird Energy is all about promoting cheap prices and big savings. It mainly does this through large conditional discounts, but GloBird has also become one of several providers to launch an energy offer with low base rates, rather than relying on headline-grabbing discounts to bring costs down. In addition to supplying electricity in Victoria, GloBird Energy is also now a natural gas retailer in the state, with plans to expand to NSW in the near future. Claimed to be 100% Australian-owned, GloBird Energy is often one of the cheapest retailers around, but has a habit of changing prices more frequently than most, so you’ll need to regularly compare. GloBird Energy has done extremely well to take third place in our VIC electricity provider ratings, with four stars for customer service, bill & cost clarity, ease of sign-up, value for money and overall satisfaction. It got just two stars for online tools & advice and environmental sustainability. Owned by Hydro Tasmania, Momentum Energy is a champion of renewable electricity generation and is seemingly on a mission to simplify energy retail in Australia by keeping its products free from conditional discounts. In an energy market where the biggest discounts don’t always mean the biggest savings – and sticking to all the conditions can prove tricky – Melbourne-based Momentum Energy markets itself as the electricity provider with great rates but no confusing discounts. In Victoria, it has three residential market offers with varying rates but no exit fees. These include a plan targeted at renters who often move home, plus one of few solar-specific deals in Victoria that has a seemingly generous feed-in tariff. This approach seems to have its fans, with Momentum Energy rating consistently well in our VIC electricity ratings over the years. Taking fourth place in our latest review of Victorian electricity providers, Momentum Energy was rated four stars across all research categories. Alinta Energy is one of the largest dual fuel energy providers in the southern states of Australia, as well as a major gas supplier in Western Australia. It also recently partnered with the Queensland government to supply homes in the Brisbane area. The retailer is headquartered in Sydney and has a strong presence in Perth, but is now owned by a Hong Kong-based conglomerate company. When it comes to electricity in Victoria, Alinta Energy has two market offers which come with substantial discounts off electricity usage charges. The smaller discount is guaranteed but you’ll need to pay on time to get the bigger discount. The benefit period for both plans is 12 months, but there is no fixed contract term, or exit fees. Households that also sign up their natural gas with Alinta Energy could qualify for a ‘double up’ discount. The retailer also recently launched its own rewards program, bringing savings on various activities such as movie tickets and eating out. For keeping energy markedly simple in Victoria, Alinta Energy has been ranked fifth in this year’s VIC electricity comparison. It achieved four stars for bill & cost clarity, ease of sign-up, customer service, value for money and overall satisfaction, with three stars for online tools & advice and environmental sustainability. Perhaps best-known as a phone and internet provider, Dodo completes the set of home services by also selling electricity and natural gas. A fairly no frills retailer, Dodo operates with a single variable rate market offer in Victoria, usually boasting a large conditional discount off electricity usage charges. The discount is ongoing, but dependent on paying bills on time. This is a no contract agreement, with no exit fees. The Dodo brand is owned by Vocus Communications – the company behind lots of other phone and internet providers, including iPrimus. Dodo’s main selling point is that customers have the convenience of dealing with the same company for all of their home services. There may also been an added discount on offer if customers sign up for both electricity and gas. Dodo Power & Gas was ranked sixth in our VIC electricity review, scoring a mix of four and three stars across the board. It performed quite well in regards to value for money but was let down on customer service – the two main drivers of overall satisfaction. The highest-rated electricity provider in our NSW comparison, Red Energy keeps things fairly simple with three electricity market offers for prospective customers to consider. The retailer’s biggest selling point is its partnership with Qantas as two plans come with the added benefit of Qantas Frequent Flyer points for paying on time. Red Energy’s traditional offer comes with a modest 10% discount applied to both usage and supply charges, with the first Qantas deal including the 10% discount but also throwing in two points for every $1 spent on energy. The second Qantas plan bumps up the reward to seven points per $1 spent, but for this the 10% discount is lost. All plans come with variable rates but no contract term of exit fees. Red Energy’s standard plan also come with access to Red Energy Rewards, the retailer’s exclusive rewards program that can deliver discounts on various social activities, such as movie tickets, hotels and numerous other attractions. Like Lumo Energy, Red Energy is owned by renewable energy company Snowy Hydro. Ranked seventh this year, Red Energy rated four stars across most research categories – including ease of sign-up, customer service, value for money and environmental sustainability – but was let down on tools & advice, scoring three stars. Simply Energy is typically a very price-competitive electricity provider in Victoria, offering a wide range of unique products to choose from. The company is owned by French utilities giant Engie, but remains based in Melbourne. Simply Energy’s plans include an exclusive deal for RACV members that brings an additional discount and a deal that provides up to 16 ‘free’ movie tickets over a two-year contract. AFL fans may also be interested in Simply Energy as another product brings up to $480 in ‘free-kick’ credit (that’s $10 credit on electricity and $10 on gas every month for 24 months). Simply Energy plans all include various pay on time discounts off usage charges, with contracts of either 12 or 24 months. The rates are variable and exit fees may apply with some plans. Coming in eighth in our VIC electricity provider ratings this year, Simply Energy earned four stars for overall satisfaction and all other research categories with the exception of three stars when it came to environmental sustainability. Lumo Energy offers Victorians a diverse range of electricity products, including a deal that brings 2-for-1 HOYTS movie tickets Monday-Wednesday. The provider also has a product targeted at renters who often move home – as it waives connection and reconnection fees – in addition to its basic energy offering with no sign-up incentives or conditional discounts. Most Lumo Energy plans come with modest discounts for those who pay on time, while an additional discount is offered to those who also agree to direct debiting. All Lumo plans have variable rates, but the details vary between products. However, one consistent theme is that conditional discounts are all applied to the whole bill, rather than usage charges alone. Another big draw to Lumo Energy is its rewards program, Lumo Ameego. With this, customers redeem discounts on a range of social activities such as movie tickets, gift cards, eating out and hotels. Lumo Energy may not be the best-rated in Victoria, but is currently ranked No.1 in our South Australia provider ratings. The ninth best-rated provider in our latest VIC comparison, Lumo Energy scored four stars across most research categories, but three stars on value for money and environmental sustainability. The best-rated of the big three retailers in Victoria, EnergyAustralia provides a diverse range of electricity products in Victoria, including a fixed rate deal that sees prices locked in for two years, and another where prices go uncharged for 12 months. There are also two variable rate products with significant discounts. Most of EnergyAustralia’s discounts come for paying bills on time, though one product has a guaranteed discount, with benefit periods of just 12 months applied. 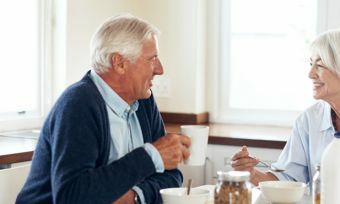 The two-year fixed rate deal is usually one of the cheapest from EnergyAustralia, but it is the only plan to have a minimum term contract and exit fees. Exit fees do not apply to any of the one-year deals. All EnergyAustralia plans are said to be carbon neutral for customers who opt in (you’ll need to check the EA website for details. The company helpfully publishes estimated monthly costs for all its plans online so you’ll have an idea of what you’ll pay before signing up. EnergyAustralia was ranked 10th in our latest VIC electricity review, scoring a mix of three and four stars across the board. It rated four stars for ease of sign-up, customer service and online tools & advice, but just three stars on value for money, bill & cost clarity and environmental sustainability. Origin Energy offers arguably the most comprehensive range of electricity options in Victoria. It has three variable rate products with varying discounts and conditions based on personal preference, in addition to a fixed rate deal with no discounts. The biggest discount is offered with direct debit payments and email billing, while the next plan is targeted at those who would rather not pay by direct debit, but still pay their bills on time. Discounts are applied to usage charges and both plans have 12-month benefit periods and no exit fees. The third variable rate deal from Origin includes a small but guaranteed discount, applied to both usage and supply charges. The benefit period can be 12 or 24 months. Origin also has the only fixed cost electricity plan in Victoria in the shape of the Predictable Plan. With this, customers can pay the same price for power every month for a year, regardless of their actual consumption. Specific quotes are offered based on usage history. Origin is also a major solar retailer in Victoria. Ranked 11th out of 13 in our VIC comparison, Origin rated three stars for customer service, bill & cost clarity, environmental sustainability and overall satisfaction. It got four stars for online tools & advice and ease of sign-up, but just two stars on value for money. Energy giant AGL typically offers three electricity plans for Victorian households to choose from based on personal preferences. Two products come with notable discounts, but the conditions of these vary. AGL’s third plan brings no discounts, but competitive rates locked in for 12 or 24 months. The biggest discount goes to customers who are happy to commit to paying on time, with a reduced, guaranteed discount up for grabs on the other plan. Customers could also benefit from AGL’s association with the flybuys program, with one point awarded for every $1 spent on energy. Switching to AGL online can also see customers bag a bonus 10,000 flybuys points. 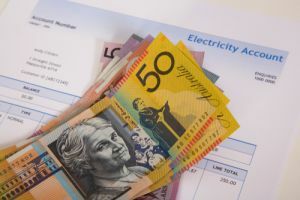 AGL is also one of the most prominent retailers when it comes to offering ‘double up’ discounts for those who buy both electricity and natural gas from the retailer. It’s also one of the country’s leading solar providers, with specific offers and services targeted at solar customers. Those who like to get a little extra for their money may also be interested in AGL Rewards. In our Victoria electricity provider ratings, AGL finished 12th out of 13 with three stars for customer service, bill & cost clarity, ease of sign-up and environmental sustainability. It achieved four stars for online tools & advice, but just two stars on value for money. Claiming that its online business model helps keep costs low, Click Energy has been a reasonably-strong performer in our electricity provider ratings in recent years. Now owned by phone and internet provider Amaysim – now also an energy retailer – Click Energy typically provides one main market offer in Victoria, in addition to a couple of deals focussed on solar customers – appearing to offer generous feed-in tariffs. All plans come with variable rates and Click Energy has a habit of chopping and changing its main product from time to time. However, prospective customers can usually expect a plan with a significant whole bill discount, provided they pay on time. Click Energy can be price-competitive, but with products and prices changed more frequently than most, you’ll need to keep an eye out. The company is also one of the most active when it comes to online sign-up credit and other promotional incentives. The lowest-ranked electricity provider in our VIC comparison this year, Click Energy got three stars for bill & cost clarity, ease of sign-up, customer service and value for money. It rated two stars for online tools & advice and environmental sustainability. In addition to the market offers mentioned above, all energy providers have standard electricity contracts in Victoria. These are ‘default’ power plans that customers may be on if they have never switched retailers, or haven’t moved onto a new deal for several years. Standard contracts are significantly more expensive than the cheapest market offers. Victoria is a hugely competitive market for the electricity providers – it’s where many invest the majority of their time, effort and money in order to attract new customers. This is important to know because it means that you have the power to find a better deal – provided that you’re willing to do your research and shop around. This hasn’t happened by chance or overnight. Victoria was the first Australian state to completely remove electricity price regulations in 2009, which means the energy companies are free to set their own plans and prices, with minimal legislative interference. Households had been able to switch providers since several years earlier, but there was little financial incentive to do so at the time. With a fully deregulated electricity market, Victorians now have a huge range of different providers, plans and other incentives to choose from. However, with all this choice can come confusion and there is little doubt that the prospect of picking an electricity provider is a daunting one for a great many households, which is why many will still be paying more for power than they need to. 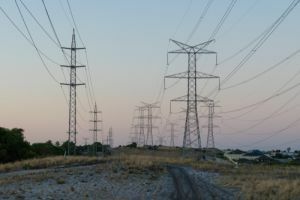 The price of electricity has risen significantly in recent years, blamed in part on the closure of the Hazelwood Power Plant in Victoria back in 2017, leading many to question whether or not deregulation has been good for consumers or not. That debate will continue, but for now the key to cutting energy costs is first understanding your options – and then acting on them. Victoria currently has three coal-fired power stations in operation in the Latrobe Valley, Yallourn (owned by EnergyAustralia) and Loy Yang A and B (owned by AGL). The Loy Yang power stations alone are said to power approximately 30% of Victoria’s electricity generation, although all three plants are scheduled to close in the next 20-30 years. The Hazelwood Power Station (majority owned by Engie, the company behind retailer Simply Energy) was previously supplying around a quarter of Victoria’s base load electricity before it was closed in 2017. This means the state is now heavily reliant on its numerous gas turbine and reciprocating power stations, but with the coal-fired plants getting older and becoming less reliable, Victorians are susceptible to blackouts during periods of high demand when power reserve are stretched to the limit. More than 200,000 people were left without electricity in January 2019 as Melbourne sweltered through a 42-degree day and two of the three coal-fired plants failed. Victoria is also home to more than a dozen solar farms, wind farms and hydroelectric power generation systems, but these can currently only meet a small percentage of the state’s overall energy demands. There are two types of electricity contracts that a household in Victoria could be on – standard contracts and market contracts. Knowing which type you have is the first step to saving money. Standard contracts: These are default energy contracts which households in Melbourne and the rest of Victoria will still be on if they have never switched energy providers. They have prices set by the providers, but also have certain rules set by the Essentials Services Commission. Standard contracts (also known as standing offers) are ongoing contracts and have no exit fees. Electricity companies must offer a standard contract in addition to their market offers. Market contracts: These are contracts set almost entirely by the energy retailers. They come with varying contract lengths, conditional discounts, benefit periods and fees. These are the plans that are heavily promoted by the retailers and can provide the opportunity for customers to cut costs, as long as they stick to the conditions. According to the Essential Services Commission, one in ten households in Victoria remains on a standard electricity contract. Canstar Blue’s electricity database shows that customers could save hundreds a year by switching from a standard contract to a market contract, even with the same retailer. Further savings could even be made by switching providers. The difference between the cheapest market offers and the most expensive standing offer is $1,500 a year, based on a typical family of three in Melbourne. Switching from a standard contract to a market offer is an easy way for Victorians to save money on electricity costs, but finding the best market offer for you is not an easy task. Market electricity offers in Victoria come in all sorts of shapes and sizes, but they all include two major costs – supply charges and usage charges. 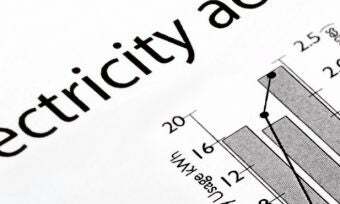 Supply charges: These are costs that households incur simply for being connected to the energy grid. Supply charges in Victoria typically cost around $1-$1.20 per day and remain the same every day no matter how much energy you use. Usage charges: These are the rates you’ll pay for actual electricity usage. Depending on different tariffs (which we’ll come to shortly), usage charges can vary considerably. 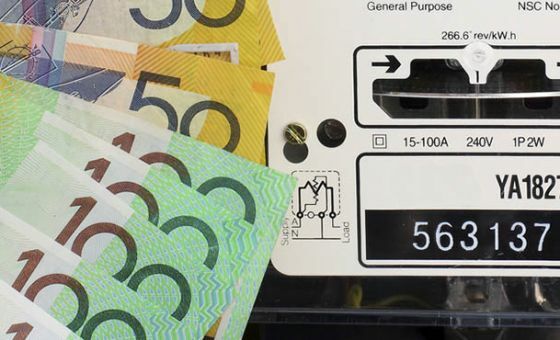 General usage charges in Victoria can cost anywhere from 16 to 34 cents per kWh. 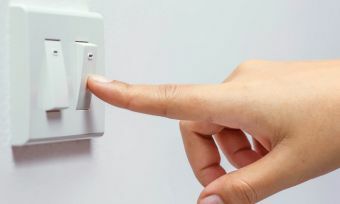 It’s important to look at both of these rates when comparing energy plans, but large households should pay particular attention to usage rates, while smaller households with modest energy usage should look for plans with lower daily supply costs as these will make up a higher proportion of overall costs. With more than 20 electricity providers competing in Victoria, you won’t be surprised to learn that there is a huge range of different plans to pick from, often differentiated by the conditional discounts and any other incentives on offer. These plans broadly fall into two categories – those which have variable rates and those with fixed rates. Variables rate plans: Much like having a variable rate home loan, electricity plans have variable rate usage and supply charges. This means that your provider could change the prices that you pay for electricity usage and supply at any time, as long as they give you prior notice. However, variable rate plans generally have cheaper rates than fixed rate plans. Fixed rate plans: If you don’t like the idea of prices changing at short notice, some electricity companies have fixed rate plans. With these, you effectively lock-in supply and usage charges for a set period, usually one or two years. This means that you pay the same rates for the life of your contract, but this added convenience can come at a higher price – much like fixed rate home loans. The vast majority of electricity plans in Victoria come with variables rates. Fixed rate plans are usually only offered by the big three energy providers, AGL, EnergyAustralia and Origin. However, Tango Energy is also known for competitive fixed rates. The sun may not shine in Victoria as often as some other states, but more and more Victorian households are choosing to invest in solar systems. While all electricity market offers come with some form of solar feed-in tariff, there are only a handful of retailers that offer specific solar plans, usually with higher rates for solar generation. These include AGL, Origin, Click Energy, Amaysim Energy and Momentum Energy. Discounts usually apply to electricity usage charges only, but some retailers apply their discounts to your entire bill instead. While tempting, it’s important to compare energy plans based on the base rates as well as the conditional discounts. Failing to meet the conditions of a discount will mean you are left paying the non-discounted rate, which will be much higher. You may also be charged a fee. Also be sure to check the benefit period of your discount, because most only apply for one or two years, after which you’ll have to pay the full price. If big discounts don’t really appeal to you, you will find a range of other sign-up incentives offered by the electricity retailers in Victoria in an effort to get you on board. Simply Energy and Lumo Energy both have plans that bring ‘free’ movie tickets during the life of the contract, while AGL customers can earn flybuys points, those with Red Energy can collect Qantas Frequent Flyer points, and EnergyAustralia is on board with Virgin Australia for Velocity points. It’s also common for retailers to throw $50-$100 in sign-up credit at new customers, especially if they sign up online. The following electricity providers offer some form of rewards program to customers in Victoria, bringing savings on various leisure and social activities, including eating out, accommodation and even theme park tickets. Given that Victoria is one of the most competitive energy markets for the retailers, some of these rewards programs are not available in other areas. If you have a single rate tariff, you will pay the same usage charges no matter what time of day you use power – so the cost of using air conditioning, for example, will be the same whether it’s used in the early evening (peak times) or in the middle of the night (off-peak times). You might also see a single rate tariff referred to as a ‘general rate’ or ‘peak tariff’ as all electricity usage is effectively charged at peak rates. If you have a time of use tariff (also known as ‘flexible pricing’), you will be charged different electricity rates depending on when you use power. These rates are usually split into three categories, although the exact times in which they apply can vary between electricity distribution networks. Peak: These rates usually apply from the early afternoon until the late evening (e.g. 2pm-8pm). The most expensive rates you will pay, these charges can cost up to and over 50 cents per kWh. Off-peak: These rates apply from the late evening until the early morning (e.g. overnight from 10pm-7am) and at weekends. These charges typically cost less than 25 cents per kWh. Shoulder: These rates apply at all other times of day (e.g. late morning until early afternoon). Cheaper than peak rates but more expensive than off-peak rates, expect to pay around 26-32 cents per kWh. Time of use energy tariffs are only available if your property has a smart meter. As the majority of homes in Victoria now have smart meters installed, flexible pricing is very common and can be helpful in reducing energy costs, particularly if you generally use power at off-peak times. However, picking the wrong tariff for your usage habits could prove a costly mistake. Demand tariffs – which apply an additional charge to reflect a household’s peak time usage – are also now available in Victoria. 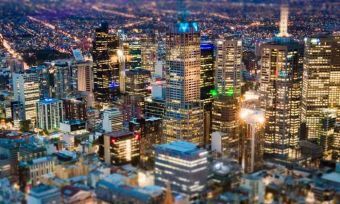 In addition to single rate and time of use tariffs, households in Melbourne and other parts of Victoria can also benefit from a controlled load tariff (also called a dedicated circuit). A controlled load tariff is a dedicated metering connection that allows households to pay for high-usage appliances, such as hot water systems, at a cheaper rate. A dedicated circuit is usually only applied to electric water heaters, but with more than one circuit, households can also apply them to pool pumps. Controlled load tariffs are much cheaper than other charges, usually less than 25 cents per kWh. The drawback is that power will only be supplied for a few hours each day (i.e. enough time to heat water for the day or to clean your pool). As the retailers pass on distributor costs to their customers, the suburb you live in will impact your energy costs. For example, an Origin customer living in north Melbourne would pay a different rate to an Origin customer in south Melbourne, even if they have the same product and identical usage habits. Distributor costs can account for up to 50% of your overall bill. If you are a home owner, there is nothing you can do about this, but if you are renting a home or considering where to buy, this is worth looking into. Choosing one suburb over another could save you hundreds of dollars a year in energy costs. Who pays the most (and least) for energy in Victoria? Given that distribution costs are passed on to the electricity providers, who then pass the costs onto their customers, it makes sense that households in the most hard-to-reach places will pay the most for power as there are more poles and wires involved in transmitting the energy to them. This is the case in Victoria where electricity customers in central parts of Melbourne (on the Citipower network) generally pay lower rates than those who live on the Powercor and AusNet networks which huge parts of regional Victoria. Source: Canstar Blue electricity database February 2019. As you can see, living in one part of Victoria could see you paying hundreds of dollars a year more than an equivalent household in another part of the state, even with the same retailer. And keep in mind that it’s not only those way out in regional Victoria that pay the highest prices – as a provider’s rates are consistent across each network, you could live on the Powercor or AusNet network in an outer suburb of Melbourne and pay significantly more than your friends in a neighbouring suburb. Where can you find the cheapest electricity prices in Victoria? There is no simple answer to this question because it depends on a multitude of factors, from the type of contract you have, to your discount, electricity tariffs, and where you live. 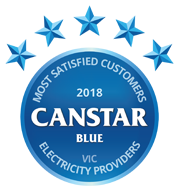 But to give you an idea of where to find the cheapest energy rates in Victoria, Canstar Blue has a cost comparison page, showing plans from the providers mentioned in this report. Being the cheapest provider doesn’t automatically make them the ‘best’, but if it’s purely the bottom line you are concerned about, be sure to check out the details. Also be sure to use our comparison tool for specific offers in your area. What different tariff options are available and how do the charges vary? What percentage discount is offered and what are the conditions? What rewards programs or other sign-up incentives are available? Can you add a controlled load (dedicated circuit) for water heating? You will find the answers to these questions and more in the energy price fact sheets of each electricity provider you compare. However, these documents can be quite difficult to understand, so don’t be afraid to pick up the phone and get the answers you need. It’s also a good idea to contact your existing provider and ask if your current deal is the best they can offer. Remember that the electricity providers should be working hard to keep you happy, so if you’re not completely satisfied with the price you’re paying or the servicing you’re receiving, you now know what you can do about it. You might know it best as a telco provider, but Amaysim has dived right into the Australian energy market, providing electricity and gas to households in Victoria, NSW, QLD and South Australia. The market plans offered by Amaysim Energy in Victoria are fairly basic, promising no confusing discounts, just competitive rates. Unlike many providers, Amaysim has a specific plan for solar customers with a higher feed-in tariff than its non-solar product. Amaysim also retails natural gas in Victoria. With this provider you can expect no lock-in contracts or exit fees, and to pay your bills monthly. Commander had previously established itself as a business-only energy retailer, but is now offering residential electricity plans in VIC, SA and NSW. Its single market offer comes with a pay on time discount off energy usage charges. The discount has an ongoing benefit period, meaning it won’t expire after 12 or 24 months, as is the case with a lot of other plans. This provider bills quarterly and sends bills by default through email. The Commander brand is owned by Vocus Communications, which also includes Doro and iPrimus. CovaU retails electricity and natural gas to households in Victoria and NSW. This provider’s plans vary between states, and in Victoria you’ll find one market offer and a solar offering for those with solar panels. On both of these plans you can expect to see a seemingly generous pay on time and direct debit discount that applies to the whole bill, but is only applied the first year you’re on the plan. CovaU also has a rewards program, offering various discounts and savings with certain retailers and attractions. 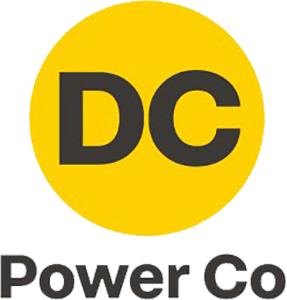 DC Power Co is a new energy brand owned by Powershop Australia, with a strong focus on proving services to households with solar panels. 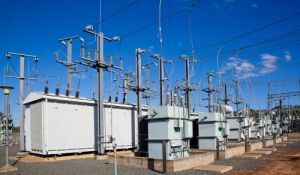 The company released a market electricity offer in Victoria in 2019, but also operates in NSW and South East Queensland. On this plan you’ll pay a monthly subscription fee in order to access what DC Power Co claims to be cost price electricity, and receive advice on optimising your solar system to help you use less power from the grid. Diamond Energy is a relatively small, solar-focused retailer that places a large emphasis on supporting renewable energy generation. It operates in VIC, NSW, QLD and SA. It has been ranked the second most ‘green’ electricity company in Greenpeace’s latest Green Electricity Guide, perhaps in part due to its ownership of renewable assets. In Victoria you can find one electricity market offer available from Diamond Energy, that comes with a discount when you pay on time, by direct debit and receive email bills, which applies for a total of two years. Elysian Energy is offering a fairly unique approach to energy retail, whereby customers pay a monthly fixed rate for their electricity depending on estimated usage needs. It’s currently only available in Victoria, and comes with no discounts or headline incentives, instead, claiming to offer “consistently low prices”. Elysian Energy is offering four different energy plans based on varying household energy usage needs, whereby if you don’t use all power that’s available, the remaining will roll over into the next month. Melbourne-based People Energy currently only has residential market offers in Victoria, with just standard contracts available in NSW and Queensland. Framing itself as a ‘customer focused’ retailer, and offering what it calls ‘competitive pricing’, People Energy is currently offering two market plans in Victoria. You’ll likely find generous discounts off just energy usage or the whole bill, conditional on paying bills on time and by direct debit. These discounts are ongoing. Powerdirect is backed by AGL, and is offering energy plans in Victoria, NSW, Queensland and South Australia. Like other providers, Powerdirect has historically been known to offer energy to business customers only, but has expanded to provide residential electricity as well. With this retailer, you’ll often see quite generous pay on time discounts with 12-month benefit periods. QEnergy follows of a slew of electricity retailers trying to ‘simplify’ the residential energy market by offering plans with no conditional discounts. The retailer currently operates in Victoria, NSW, Queensland and South Australia, but is perhaps better known for its business energy offerings. In Victoria you can expect to see one market offer that, as mentioned, provides no discount and variable rates. Sanctuary Energy is a small energy retailer that has a big focus on renewable energy initiatives, claiming to help customers reduce their carbon footprint by using energy in a more sustainable way. This retailer is currently only offering standing contract plans in Victoria, NSW and QLD. It also advertises a slew of business energy plans and services. 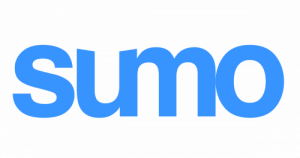 Sumo has emerged within Victoria and NSW as a residential energy retailer that is also an NBN provider. Due to this, you can expect bundled products to service your home, with additional discounts available for choosing this option. In Victoria specifically, Sumo offers both electricity and gas plans, with big conditional discounts advertised. The discounts on the three plans available in this state are applied on a 12-month benefit period. 1st Energy calls itself a ‘customer focused’ retailer that offers prices that “actually reflect the real cost of doing business”. It is offering energy plans in Victoria, NSW, QLD, and more recently, Tasmania. It is the first provider to move into Tasmania, challenging the monopoly of state-owned Aurora Energy. Within Victoria, 1st Energy is offering one market plan that comes with a large pay on time discount off just usage charges, rather than the whole bill. Here are the current prices on our database for the Citipower network in Melbourne. Prices are based on typical energy usage for three-person households at postcode 3122. Use our comparison tool for specific prices in your area. *Costs based on annual statistics from AER for a three person household on the Citipower electricity network in Melbourne. March 2019. One non-exclusive energy plan per retailer shown. There may be other retailers in your area. Canstar Blue surveyed 12,000 Australian adults across a range of categories to measure and track customer satisfaction, via ISO 26362 accredited research panels managed by Qualtrics. The outcomes reported are the results from customers within the survey group who live in Victoria, have an electricity account, and pay the bills – in this case, 2,340 people.